What is the common link, if there is any, between Church-Rosser systems, prefix codes with bounded synchronization delay, and local Rees extensions? 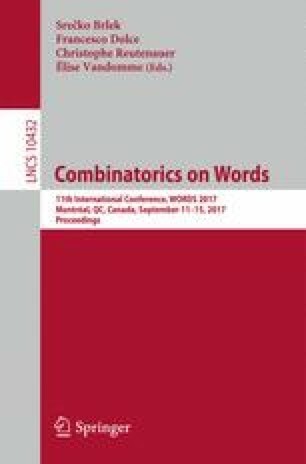 The first obvious answer is that each of these notions relates to topics of interest for WORDS: Church-Rosser systems are certain rewriting systems over words, codes are given by sets of words which form a basis of a free submonoid in the free monoid of all words (over a given alphabet) and local Rees extensions provide structural insight into regular languages over words. So, it seems to be a legitimate title for an extended abstract presented at the conference WORDS 2017. However, this work is more ambitious, it outlines some less obvious but much more interesting link between these topics. This link is based on a structure theory of finite monoids with varieties of groups and the concept of local divisors playing a prominent role. Parts of this work appeared in a similar form in conference proceedings [6, 10] where proofs and further material can be found. L. Fleischer—Supported by the German Research Foundation (DFG) under grant DI 435/6-1.